Successful merge? The Satellite W30t intends to combine the advantages of a tablet with those of a notebook. Therefore, the device is equipped with an efficient Haswell processor and a conventional hard drive. Is it possible to merge tablet and notebook? Still, and even if it's not all best-in-class stuff, in this world of choice it's the balance of price to power versus design that might see the Toshiba push forward. There's no official price yet, but our IFA rep speculated that it will be around £550 on release. That's the clincher really - it's a few hundred quid less than its main competitors. 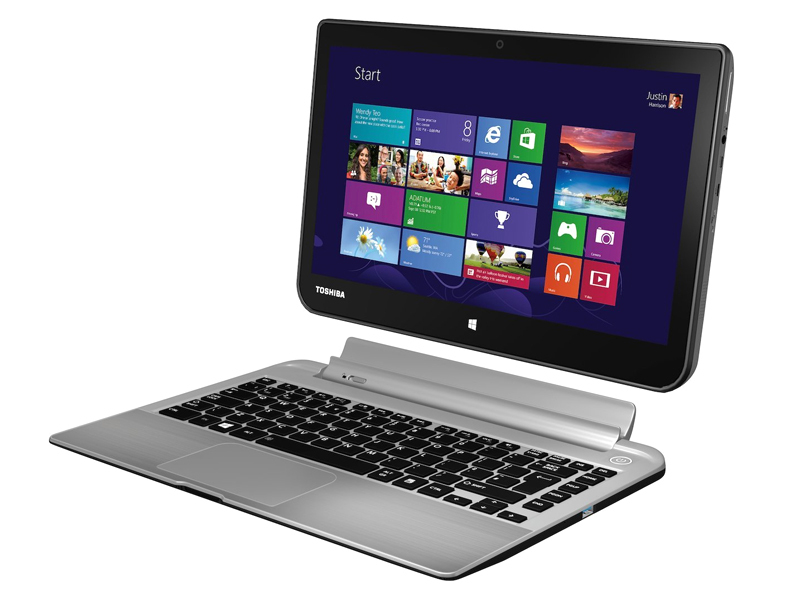 Toshiba's Satellite W30t is a Windows 8.1 shot at a laptop and tablet hybrid. Here's our Toshiba Satellite W30t hands-on review from IFA 2013. Hybrids are all the rage now with manufacturers tying to tempt us with not only a typical laptop, but a tablet in one device. The best of both worlds is generally the idea and this effort is one with a tablet which has a removable keyboard docking station. 4020Y: Haswell-based ULV dual-core processor clocked at 1.5 GHz (no Turbo Boost). Offers an integrated HD Graphics 4200 and a dual channel DDR3 memory controller.» Further information can be found in our Comparison of Mobile Processsors.